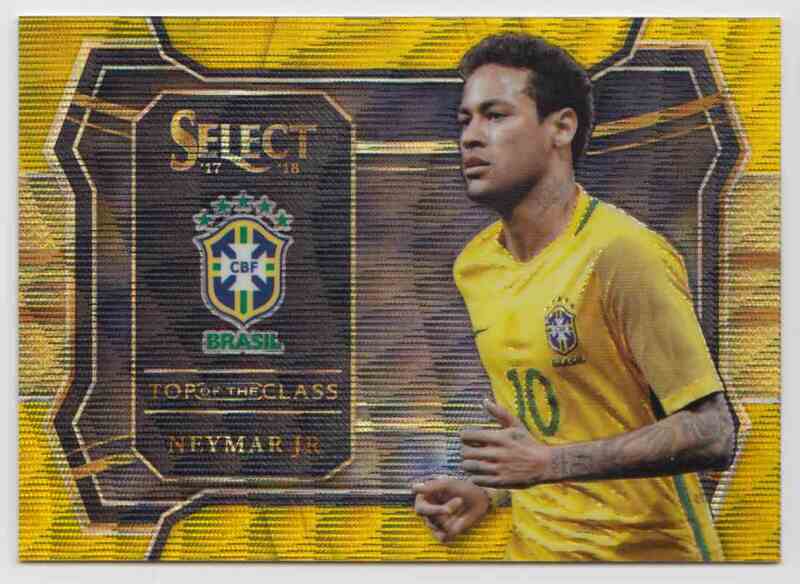 This is a Soccer trading card of Neymar JR., Brasil Brazil. 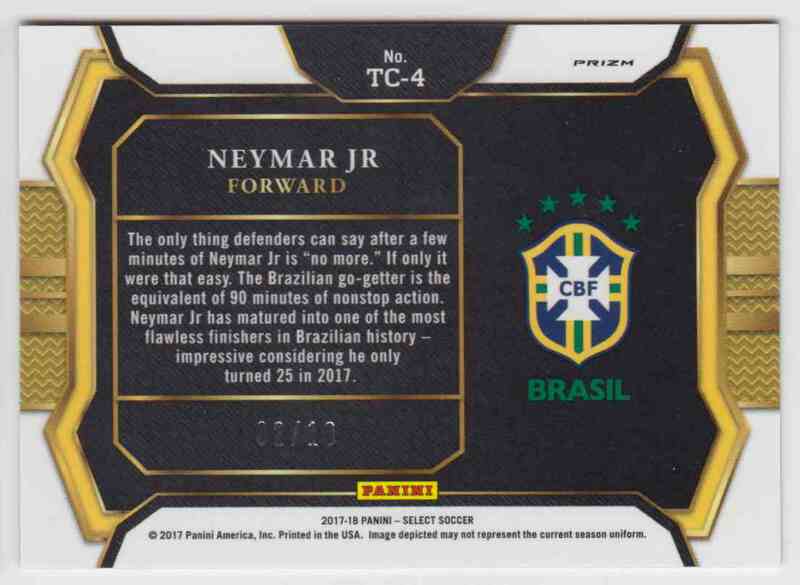 It comes from the 2017 Panini Select Top Of The Class Prizm Gold set, card number TC-4, serial numbered 02/10. It is for sale at a price of $ 179.95.